In 2003, a US-led coalition invaded Iraq and removed Saddam Hussein from power. Since then, the security situation has been very instable in the country.In 2014, an insurgency escalated into a full-scale military conflict with ISIS expanding in large areas in Iraq. 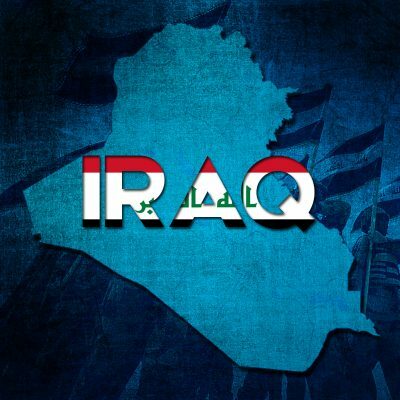 Over the next three years, Iraqi security forces, supported by some global and local powers, were working to push ISIS out of the captured territories. Iraqi forces made significant gains and started storming the last remaining ISIS stronghold of Mosul. Military Situation In Syria And Iraq On December 21, 2017 (Map Update) 4.8 out of 5 based on 10 ratings. 10 user reviews. 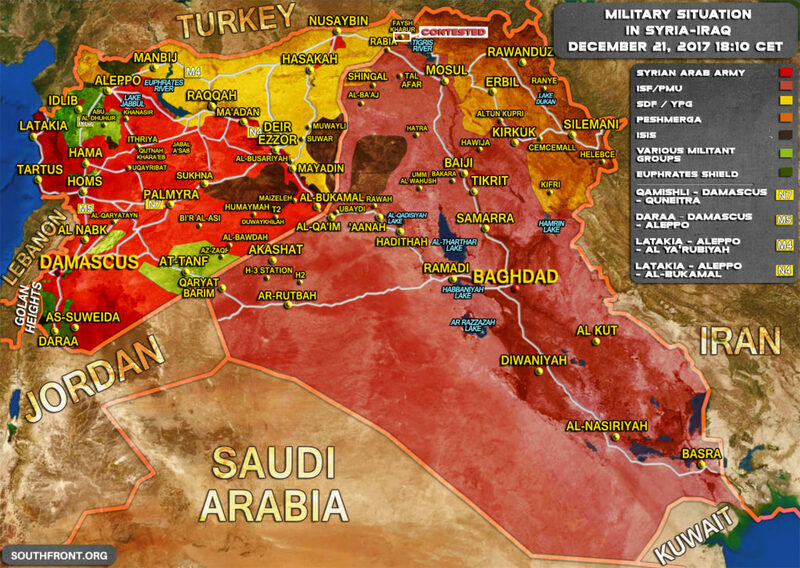 This map provides a general look at the military situation in Syria and Iraq on December 21, 2017. The Syrian Arab Army (SAA) is clashing with Hayat Tahrir al-Sham in southern Aleppo, southern Idlib and in the Beit Jinn pocket in southern Syria. Interesting to see that al_Zaqf is listed as rebel held territory. I thought the US had left and Hezbollah had taken over. There other errors on the map that suggest its a ‘cut and paste’ of a previous one. The map looks the same as it did 3 moths ago. Merry Christmas and a Happy New Year to you, family and friends and the heroes in Syria. Yeah, why be glomy, its after all Christmas and an new year, yeah, smile, if you dont smile of this, and at least an tiny part of your body isnt moving to this, music, you are probably dead. Love life and life will love you back, its an fact. This is what Israel/Isis/Saudi=arabia and our shadow government in Washington was trying to destroy. A large Christian presents in Syria is what anti-Christ Israel and Saudi Arabia are trying to destroy. The globalist and the Christian-Zionists in America were actually supporting Israel/Saudi Arabia in their efforts. Will 2018 be the year Trump and Bibi go to war with Iran? Let’s hope it gets delayed one more year. Syria cannot withstand a Saudi Israeli invasion backed by the U.S. air force. Saudis still agree to pay for it.